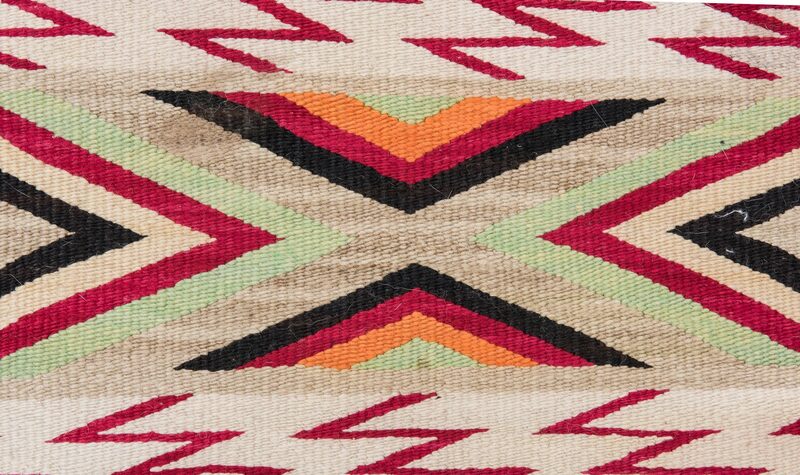 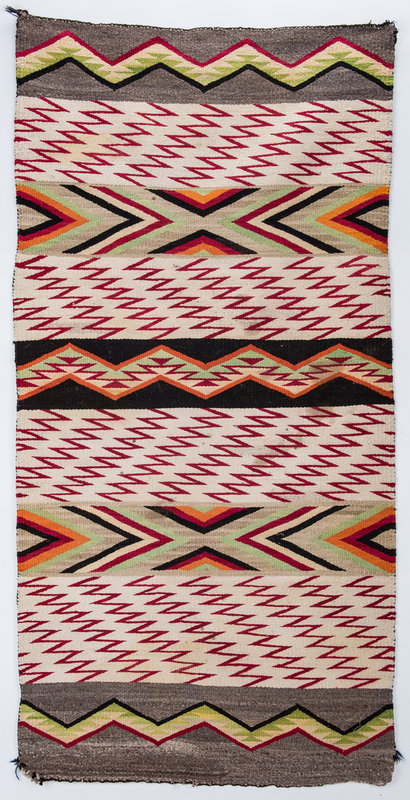 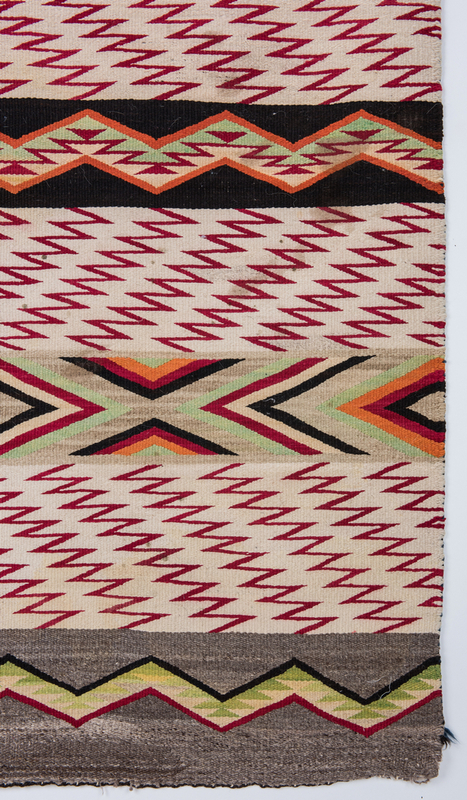 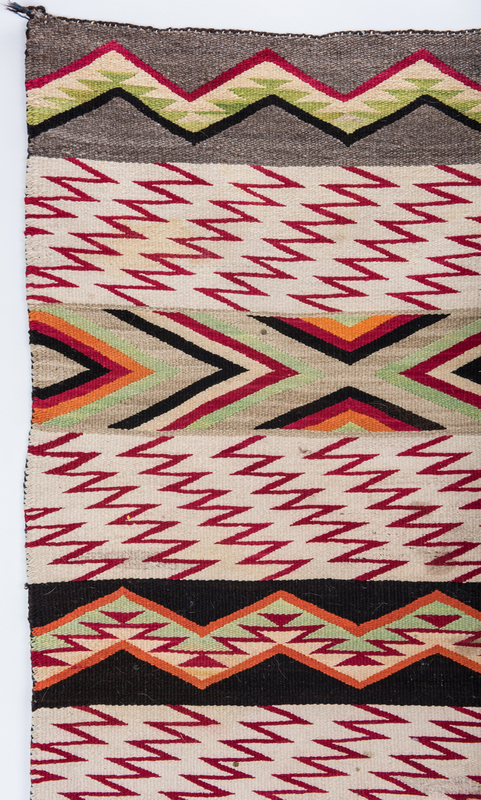 Navajo Wide Ruins woven rug in colors of red, brown, orange, green, tan and cream with unusual red repeating bands of lightening or zig zags. 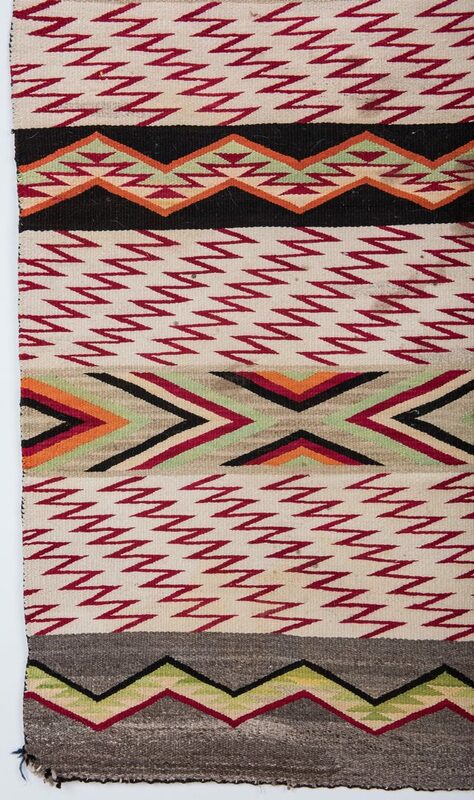 64 3/4" L x 33" W. 1st half 20th century. 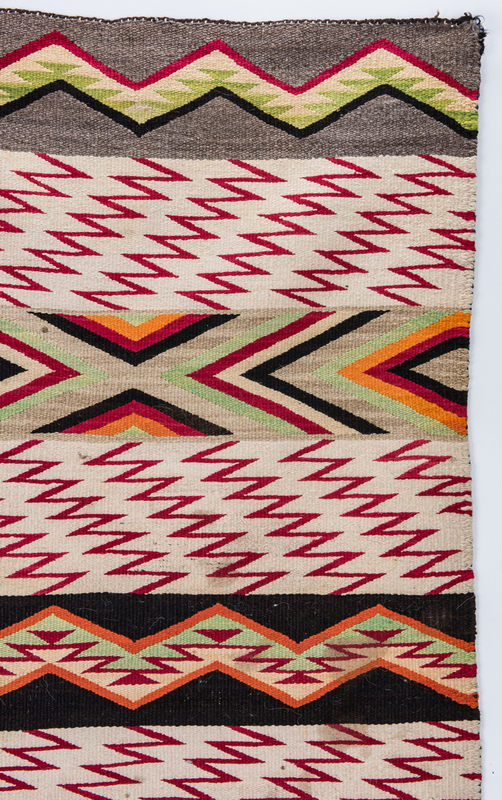 CONDITION: Repairs to one corner, losses to two other corners. 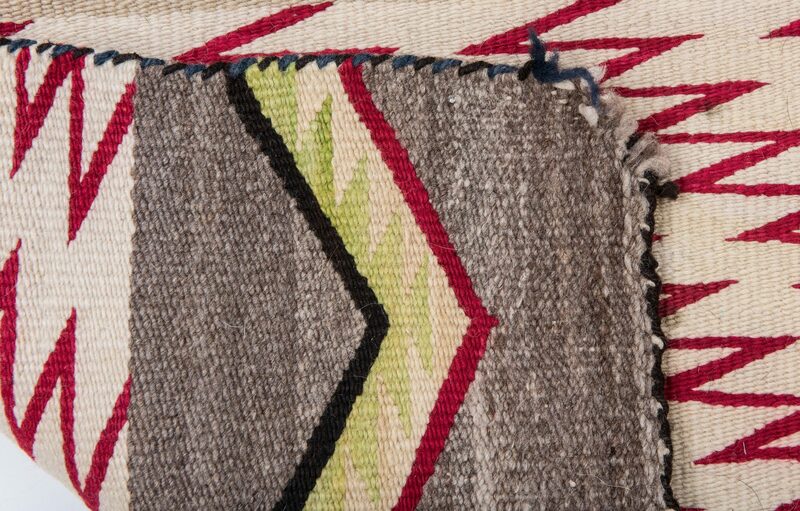 Some stainings and wear.